Women’s junior eight (rowing as Novice senior women) knocked 31.5 mins off the Boston Marathon record - winning the W.NOV.8+ category. 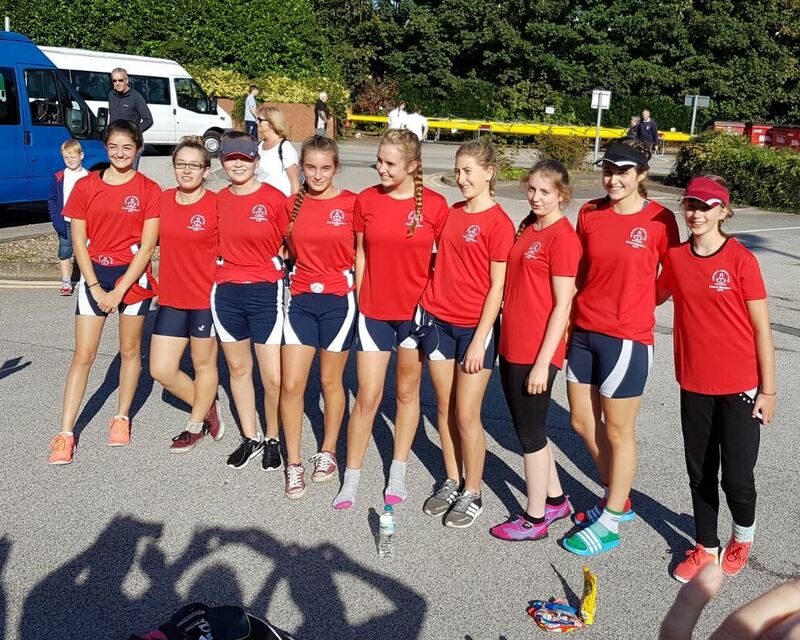 Crew: Katie Waldie, Heather Murray, Olivia Lightfoot, Millie Dodsworth, Rosa Glynn, Lucy Ivory, Ava Dagnall, Lauren Barclay and cox Lucy Bishop. Two J18A.4x- boys quads of; “A” Will Vardon, Dael, Rob Polya, Ghulam “B” Dan Johnson, Alistair Ward, Joe Cowling, Alexander both completed in very creditable times. Both Men and Women's squads raced at Trent Head Sunday 28th February, always a great (If often cold and windy) head race before WEHORR and HORR to gauge where we are against some of the strong clubs in the North and this year was no exception. It’s been a long winter of training since Wallingford so the whole squad were keen to get out racing and have some fun. 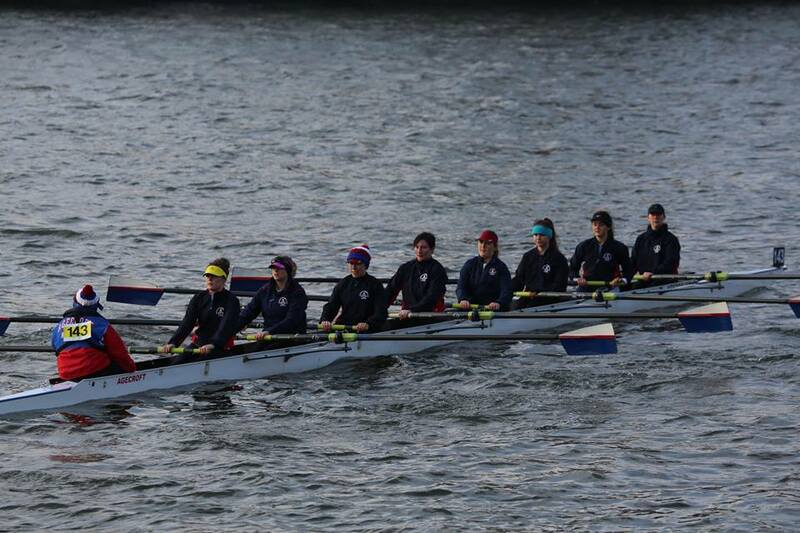 The Womens 1st 8 had a strong race on heavy legs, finishing behind a very strong Nottingham University boat in WIM2, but a job well done and we are all looking forward to racing on fresh legs at WEHORR. The 2nd 8 had a brilliant race, flying down the river with a really tidy strong row, and once we had the correct results, they were delighted with a WIM3 win and some lovely Trent Head Pots. Both Men’s 8s had strong races finishing in the top 10 against some top university crews from Cambridge, Edinburgh and Newcastle, following a tough day of racing the previous day at Runcorn too and are looking forward to NOEHORR and HORR with confidence looking to retain the Jackson trophy. For the Women bring on WEHORR and the end of head season. The Masters squad kick-off 2016 in style at Runcorn Spring Eights Head. 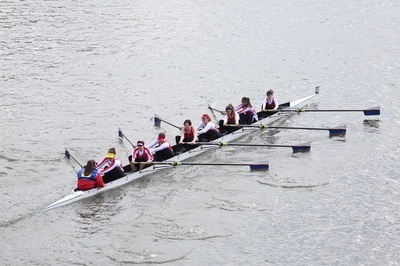 The 6k head race on the river Weaver had the usual clubs attending from around the North of England, including a large contingent from Sheffield Uni - who picked up the Victor Ludorum. The Masters entered their top eight into the Senior category in Division 1, mixing it up with the open crews, therefore going off in the midst of Agecroft's Senior Men's 1st and 2nd eights. 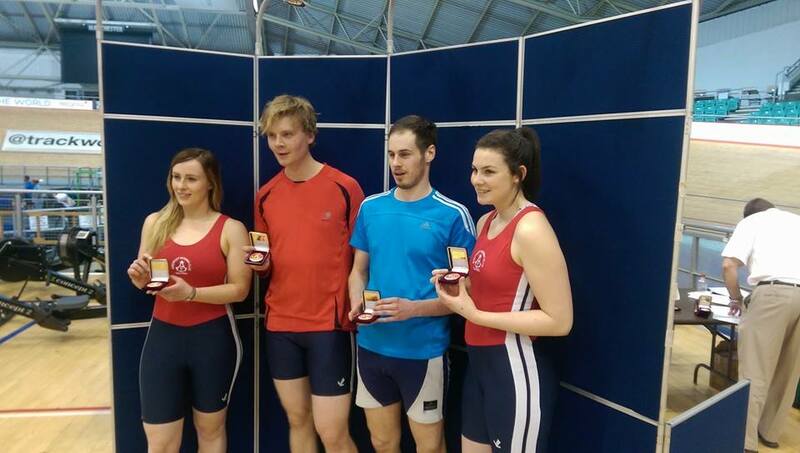 Opposition in 'Senior' was Liverpool University (average age half the Masters…just saying!) with the Men's 1st eight going for Time Only in Elite and the Men's 2nd taking on Liverpool Victoria in IM2. The crew was looking for a step up on last season, and certainly delivered. 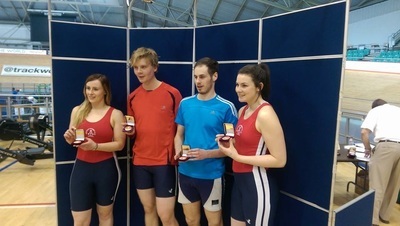 With some handy recruits at the beginning of the season at the high age range complimenting the already very capable 'relative' youngsters - together with a new training plan - they beat the Liverpool Uni crew to win Senior by just under 1 second. With the ARC IM2 crew a couple of boats behind, the Masters also got an opportunity have some fun with their younger counter parts; holding them off for longer than last year, to end up with a smaller time gap at the finish than 2015. Click here for a video on YouTube for the side-by-side action! 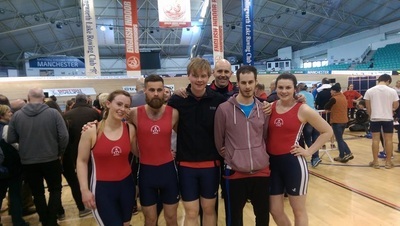 All in all a very satisfactory day, with ARC men taking home Elite, Senior & IM2 and 1, 2 & 4 overall in the first division; particularly for the Master's captain who was once the captain at Liverpool Uni…! Click here for the full results. 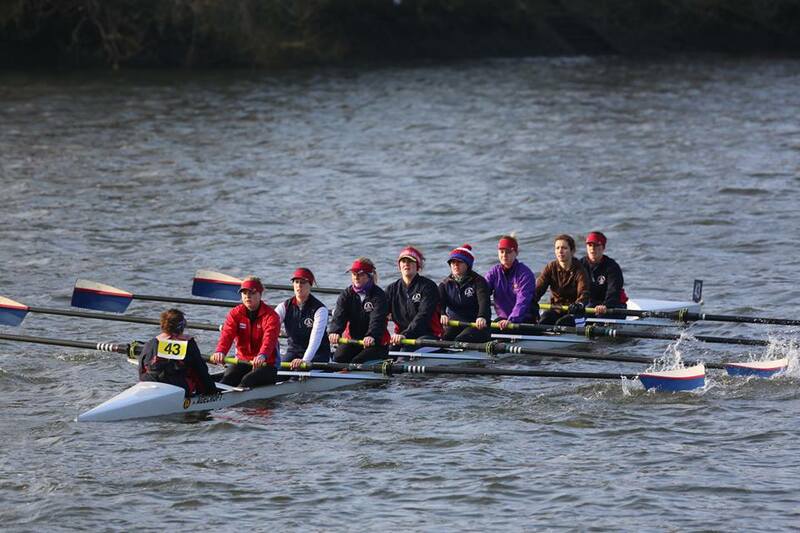 Read about our crews' Henley experiences in 2015 now. Here are the men's and women's reports written by the squad captains. Bring on 2016! As you all know, Aaron, Matthew, Benjamin, Alistair, rowed from Lechlade to London from 29th July to 1st August 2015. Because of a couple of factors, they didn't quite make it to Tower Bridge, but still completed 142 miles of their journey, averaging forty miles a day, and passing through 45 locks and 44 reaches of the Thames. It was the very definition of a challenge - it would have been easy to fail this, and it was very hard to complete it. That they didn't is testament to the strength of character of the men we have here at Agecroft. We asked Aaron about his experience and this is what he had to say: "We met through rowing, and I've always valued my friendship with them, but doing this confirmed what I've always known: these are good men to go into the jungle with. "This whole thing would have been impossible without the support of Rachel, Alison, Rebecca, and Laura. Agecroft Rowing Club, Olivia, Roger, and Denis all stepped up to help us out on occasion, Mark was a gracious and supportive super-sub, and Justin an unexpected but lovely welcoming committee when we finished. We owe a huge debt of gratitude to Abingdon RC, Henley RC, Molesey RC, and Tideway Scullers - all of whom watched us limp towards them in the gathering twilight before seeing us off again the next morning with grace and courtesy. Finally, thank you. In many ways, we did this for ourselves because of the challenge and because of our friendship. But we also tied it to Kidney Research UK and your response to that was overwhelming and amazing. Take a bow - you were as much a part of this as we were." Aaron, Matt, Ben, Ali. 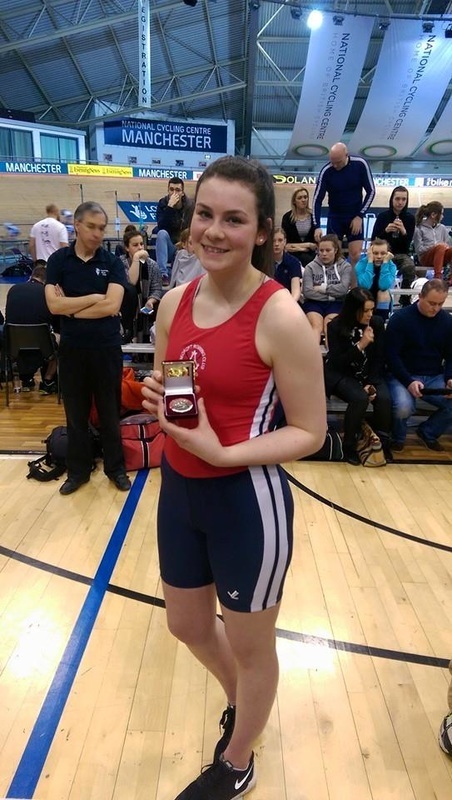 Georgina Grandfield (representing Scotland) had 3 races in total and said " I was lucky to be back to my favourite place of Strathclyde park, I went up on the Tuesday before the regatta for some crew work with lots of my old crew mates from my time in Scotland. I was very happy to be back in a double with and 8 and training was going well! The single was the first race and with beautiful flat water and the only sun of the day, I had a solid race and won. Then was the double with good mate and fellow Scot Emily Bowie from Edinburgh, who 30mins previously raced the 4+ and won. 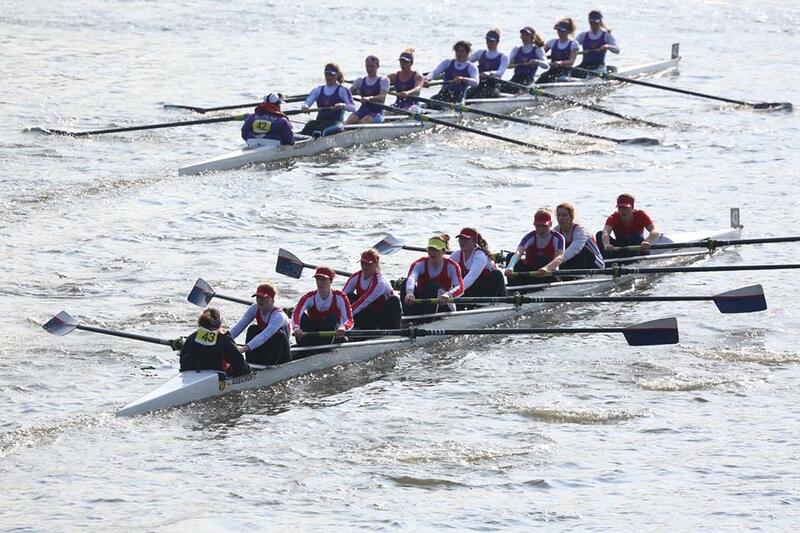 We raced well but with tired legs we couldn't quite keep up with a strong Welsh double and so came 2nd. Then the 8s was the last race of the day, was so excited to be back in an 8 and loved every stroke of the race with a really strong win by 12 seconds". Olivia Salt (representing England) had only planned to race the single, and had a fast first 500m to try and get ahead of fellow Agecrofter Georgina, but G rowed right through and was still happy to get a good race and came second. The England team never finalised the women's quad so Olivia jumped into that boat with 2 lighties and a girl from the women's double and came a respectable second after the Welsh team steamed ahead, but said "For being in the boat for 5 minutes, it was a good row overall". Wasn't quite over there as Olivia had the shock of being named Co-Captain of the England rowing team during the Home Internationals banquet. 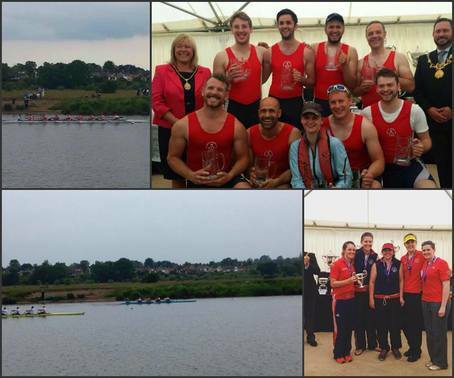 Agecroft's Men's Development Squad smashed it at Bewdley regatta this weekend with wins in the IM3 4+ and the IM3 8+ and a close battle in the final of the Nov4+. The squad were so successful on Saturday they had to cancel their Sunday races due to having too many points to race the events they entered! The Dev Men's squad are looking forward to a strong performance in the upcoming head race season. 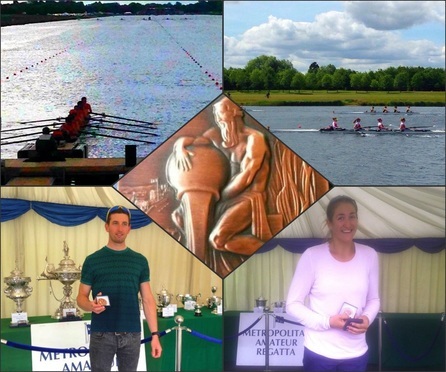 We will shortly be posting an update on the successes of Agecroft at Henley Royal Regatta last weekend (including that race against Leander!). For those of you that can't wait, check out our Facebook page where you will find all the latest news and events. 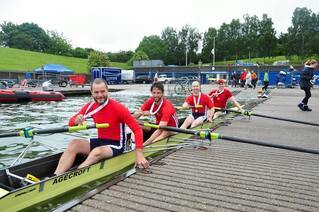 Some inclement weather aside, the men's Masters coxless four won gold at the British Rowing Masters Championships with the fastest 4- time of the competition! The men's pair came 3rd; only 1 second off 2nd. 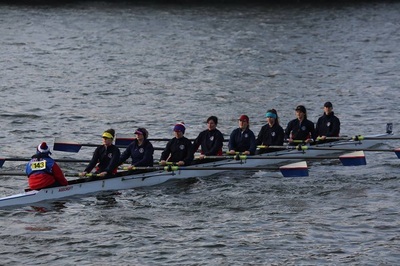 The new format at Chester this year made for a long day, with early-morning time trials and late-evening races, but the Agecroft squads kept fresh and showed what it takes to win. 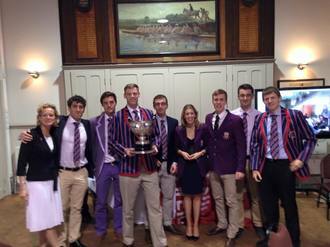 The novice men's 8+ won the category D event and for some their first pots. 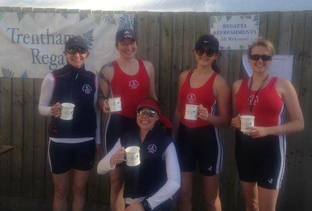 The women's Henley W4+ used Chester as great practice for the time trial at Henley, which resulted in them winning the coxed 4's overall. The newly-pointed supernova's W4+ had a strong time trial, followed by a crushing 3-length victory in the semis against local favourites Chester University, and a decisive win in the final against a men's quad. The women's Quad had a great time trial and were very happy with their progress over the last week. They were drawn against another Chester Uni crew in the semi D and just missed out on a win. 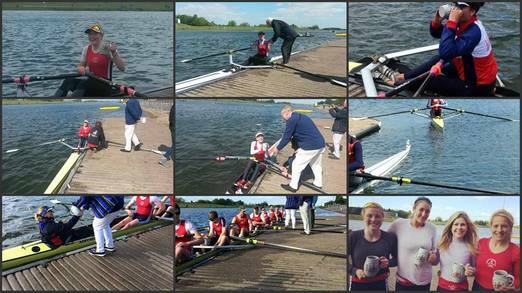 A lovely day out for the Agecroft crew of juniors, masters, and women who competed at the Trentham Regatta. 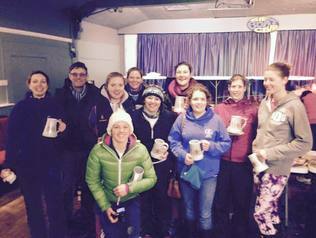 Congrats to the women's novice 4+ on their new pots! Dorney Lake was a blustery place on the weekend of 30-31 May as a full contingent of Agecrofters made an appearance and faced the winds. 1x wins by Hugh Gallie and Olivia Salt were supported by strong finishes of the other Elite and Senior scullers: Georgina Grandfield, Ellie Lewis, and Holly McMullen. The men's 8+ and women's 4+ also did well despite the adverse weather conditions and a competitive field. 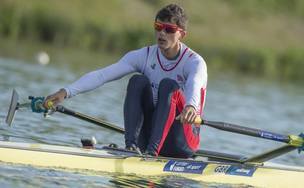 It was a convincing 4-second win for Zak Lee Green at the Essen Regatta in the lightweight men's single sculls despite the high winds and rough water. Celebrated with a fantastic article on the British Rowing website. 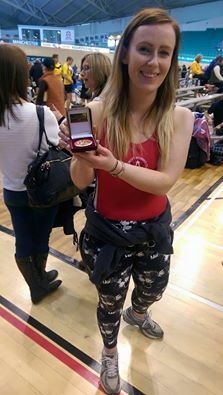 A silver in the J18, silver in the mixed team, and bronze in the Ladies events. 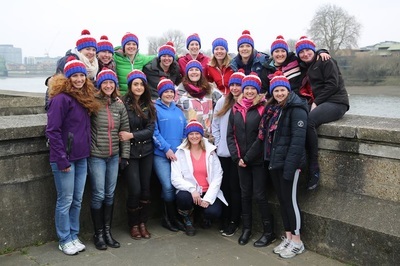 The women's squad sent two boats to this year's WEHORR. A successful day as the Women's 8+ boat wins IM2 at Head of the Trent.